One unfortunate trend: Males waited longer to seek help. In one of the few studies to examine how men recover from an eating disorder, Drs. Gunn Pettersen, Karin Wallin, and Tabita Björk recently interviewed a small group of Norwegian males from 19 to 52 years of age who had recovered from anorexia nervosa (n=10), bulimia nervosa (n=4), or EDNOS (n=1) (BMJ Open. 2016; 6:e010760). The researchers wondered whether males with eating disorders might have different recovery rates than female ED patients, perhaps owing to different factors such as feelings of shame at having a ‘female illness,’ or lack of treatment facilities. 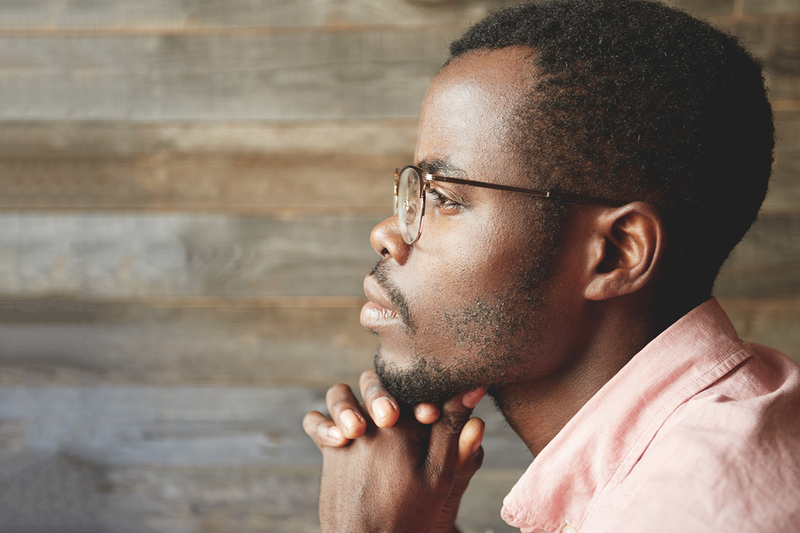 A majority of the few, and mostly small, studies examining men who have recovered from eating disorders have focused on factors like barriers to seeking help and delay in seeking treatment due to shame or an inability to recognize the signs of an ED. Participants in the current study were former patients who had completed their treatment for an eating disorder diagnosed with the DSM-IV and who had recovered from the eating disorder. Seventeen males were identified; and 15 gave consent for the study. The authors suggest there were four main factors related to recovery in males: (1) a need for change, (2) making a commitment to put the ED behind them, (3) making interpersonal changes, and (4) searching for a new life without an ED. Many of the men took a long time to understand and admit that they had an ED, and some described having a protracted and very private struggle with their disorder. To these men, admitting to having an ED included admitting that food, weight, and body appearance controlled or dominated all parts of their lives. Some had quit their jobs or dropped out of college because of the effects of living with their eating disorder. Before seeking help, the men recalled their life with an ED as meaningless or chaotic. Few had contacted healthcare professionals, and most reported having been pushed into getting help by a close family member or friend. Some began their recovery process with hospitalization, dieting, or severe weight loss and avoidance of food, leading to hospitalization, while others did contact their primary care physicians for help. No matter how they got help, the primary motivation was the same: realizing they could no longer manage the situation by themselves. Most of the men acknowledged the importance of stabilizing their eating patterns, seeking better nutrition, and reaching healthier weights during the early phases of recovery. Most also found the structure of in-hospital treatment very helpful. Another common thread in the recovery process was finding a new balance and identifying new coping strategies and leaving their ED behind. Despite the serious effects, most of the men reported that the eating disorder had acted as a functional coping mechanism for many years, and some even described the ED as their ‘best friend.’ Thus, one challenge for the therapists was helping the men let go of the ‘advantages’ their ED seemed to represent. Recovery similar to that of females, or different? The authors noted that their findings concur with many of the important themes identified among females recovering from an ED, which might point to a universal nature of change and recovery from an eating disorder. Much of the difference between the course of eating disorders (and treatment seeking) in males may relate to differences in case-finding, perceived stigma, and availability of treatment services for males, rather than to innate gender differences. A second study highlights barriers to prompt diagnosis of EDs in males. This retrospective chart review of males with restrictive eating disorders revealed that certain laboratory study results and vital signs had suggested the diagnosis early on (J Adolesc Health. 2016; 59:397) and in some cases had been overlooked. The men were first seen at an outpatient eating disorder program. The men were from 11 to 25 years of age, had a mean percentage of median body mass index (BMI) of 88.8%, and many had a history of being overweight or obese. Half had a history of a psychiatric disorder; 42% had a history of overweight or obesity; and 12% had a family history of an eating disorder. Studying the patients’ vital signs and results of lab tests revealed that the most prominent abnormality was bradycardia (a heart rate below 60 beats per minute, or bpm). The mean heart rate was 58.7 bpm, and the orthostatic heart rate change was 22 bpm; 51.5% of the men met Society for Adolescent Health and Medicine hospital admission criteria. Nearly a third were anemic. In an accompanying editorial, Mark A. Goldstein, MD of Harvard Medical School and his colleagues noted that a standard vital sign, a lower-than normal pulse rate, could be a “red flag” for males, signifying a need for further evaluation (J Adolesc Health. 2016; 59:371). In their editorial, Dr. Goldstein and colleagues also pointed to another major problem: lack of treatment options. Although 100% of residential-based programs in the US accept females, only about 20% accept males, and a much smaller subset of programs offer male-only treatment (Int J Eat Disord. 2006; 49:434; Eat Disord. 2012; 20:444). The editorialists also raise another point to ponder: Most successful ED prevention programs have been developed for females, and focus on perceived pressure to be thin, body dissatisfaction, and the cultural thin ideal, which may not be as salient for males. Instead, more helpful approaches for men might focus on body dissatisfaction, size, shape, and muscularity.